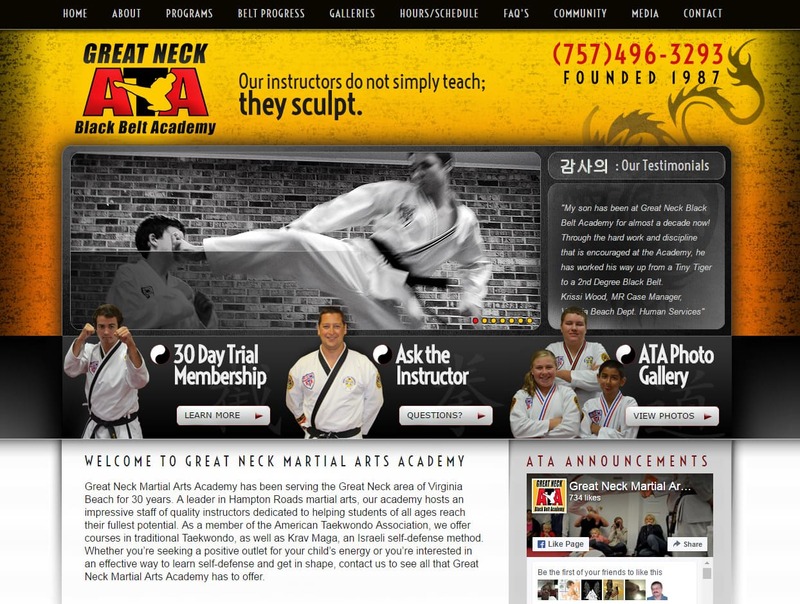 Website design for Martial Arts Taekwondo studios | This martial arts website design was created from scratch using original Photo shop web designing. Our artists use rich color texture overlays, Asian inspired iconography and text to create a website design theme that perfectly captures the brand and spirit of the academy. The website also features a social networking API feed to display Facebook Likes and real-time posts. We provide the finest in Web Design for Business and Web Design in Virginia to companies and small business. Search ‘Web site design agency Virginia Beach VA’ and find the expert web design agency of VISIONEFX. • Joomla web development, SEO and web maintenance services.